The version of the Hunt Chair was featured in Ann Coyle's Dreamhome Room. 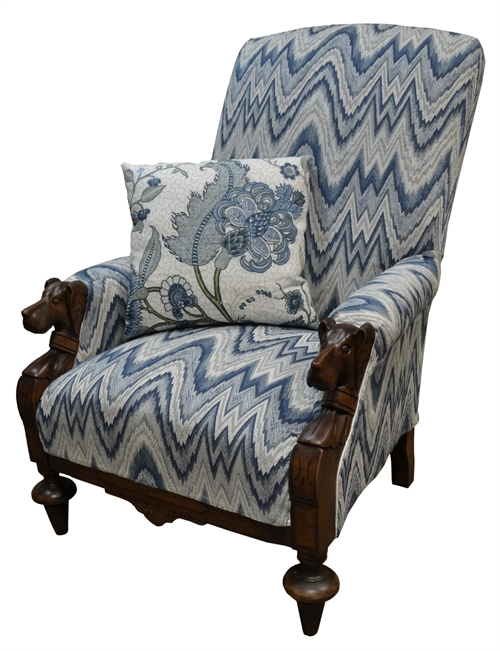 This chair is a loving reproduction of a fabulous old piece. It has a nice bold presence and a comfortable sit. The visible frame is in maple and each piece is hand finished in an antique manner in any color needed, and covered in any fabric supplied.